As somewhat of a student of golf history, I’ve often wondered what it must have been like to have played golf around the turn of the last century, as the game had firmly taken hold in the United Kingdom and was just getting started in our own country. Grainy black-and-white photos show men of the day in suits and ties, awkwardly pulling back from the ball on the backswing, with follow-throughs looking almost like Irish setters stalking a pheasant. If you’ve ever seen ancient film footage of the golf stars of the day – Englishmen Harry Vardon, J.H. Taylor, and James Braid, you wonder how these guys could shoot in the high 60s and low 70s with such unorthodox passes at the ball. And how the women of the day could play and enjoy the game wearing floor length dresses, long sleeves, and fully-buttoned bodices is beyond me. Especially on a warm, humid summer afternoon. Then there’s the courses… what must they have been like to play, with no watering systems, sheep for lawn mowers, natural unmanicured bunkering, and little ongoing maintenance? To this latter question, I may have found the closest answer I’ve ever come across in over 60 years of playing the game. The day before I drove over to the east coast of Kent to play its three marquee courses (see article HERE) in late July, I was urged by my Kent Golf hosts to visit Littlestone Golf Club, which is situated about 35 miles further southwest, on the edge of the Romney Marsh between Hastings and Folkestone. Those directions may mean nothing to you, so suffice it to say, Littlestone is about 80 miles southeast of central London. The golf course is completely unpretentious, and appears to be largely unchanged from when it was created and opened in 1888. It’s a seaside links course, but partly for flood protection, the sea resides behind a brick wall and is largely out-of-view unless you’re given to hopping in place. The summer of 2018 has been extraordinarily hot and dry in the UK and northern Europe, so the golf course I played was primarily blonde in colour, except for the greens which have been maintained with watering. If I’d had a hammer (there you go, folks – today’s earworm!! ), the tee boxes would’ve proved far less of a challenge. But one good thing about a dry, hard and flat golf course… your 220-yard drives can stretch to 280, even 300, which is very chest-swelling until the ball bounces further left or right than it should, into hay or gorse. Such is the joy of links golf, though. I was very fortunate to have played Littlestone on a hot (I love heat), and very calm afternoon, so it didn’t bare its teeth at me. From the first tee shot to the final putt, the course struck me as fair, honest, not too hard, not too easy, interesting, and a thoroughly old-fashioned, classic test of golf. And as such, I truly felt as if I had stepped back in time, and might later enjoy a warm ale in the classic old clubhouse with the former Captain of the Club, Arthur Balfour, who served as Prime Minister of Great Britain from 1902-1905. I was quite sorry that the conditions were indeed so dry, though, because I ended up with a good score that was definitely helped by the added distance received. Many of the par 4’s were almost reachable on the drive, whereas in normal springtime conditions I’d be hitting from much further back. But the course was no pushover, and I thought, 125 years ago, with hickory shafts and the old gutta percha ball, any score under 80 strokes would be quite an accomplishment. 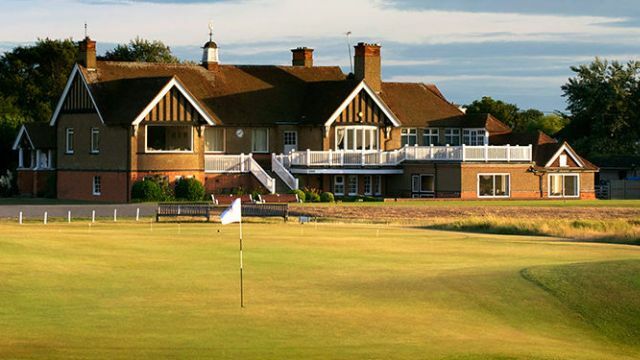 In fact, golfers traveling to the UK – whether serious course collectors or just casual golfing couples — could easily fashion a memorable trip by including those three, along with Littlestone, and courses such as Hever Castle, Leeds Castle, North Foreland, Walmer and Kingsdown, and the relatively new Nicklaus courses at London Golf Club… an all-Kent itinerary that includes links, parkland, and downland varieties. 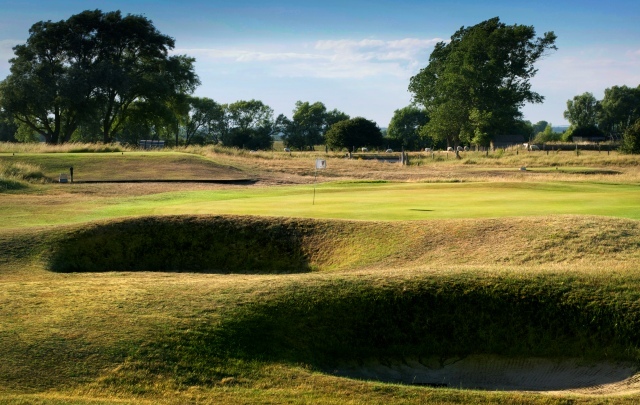 Cast your eyes only slightly further afield from beautiful Kent, and add in some of the best in Sussex, next door, or Surrey further up toward London, and you’ll have a golf experience to rival Scotland and Ireland. 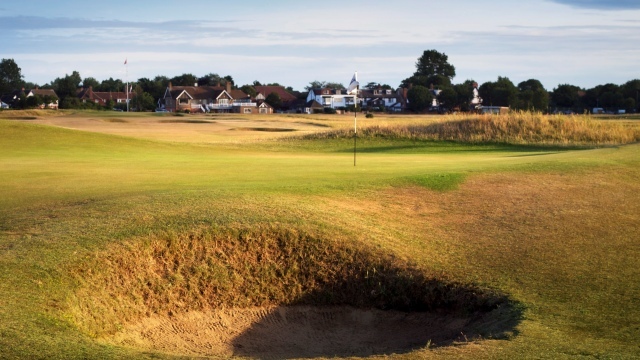 Every serious golfer who’s interested in playing some of the world’s best courses should never consider retiring from the game without playing Sunningdale, St. George’s Hill, New Zealand (the golf club, not the country), Walton Heath, Willingdon, or Wentworth. The more prestigious the golf course, the higher the greens fee. That’s pretty much universally understood. 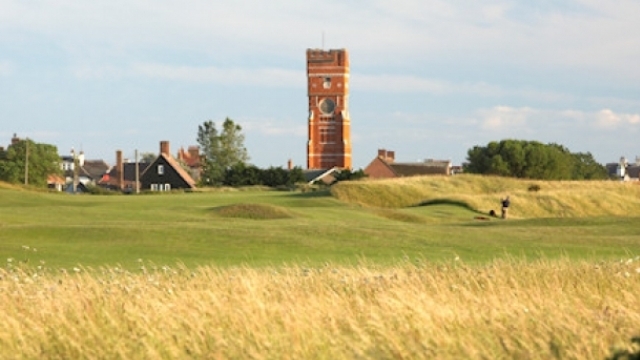 The fees at Royal Cinque Ports, for example, range from £150 – £180, and as that’s pretty much the average rate for top courses, it’s a fair price. The fees at Littlestone, on the other hand, range a hundred quid lower, from £50 – £80 depending on low or high season. That’s very good value, in my view… especially for a 3-hour excursion into what golf would’ve been like when Her Gracious Majesty Victoria still occupied the throne.